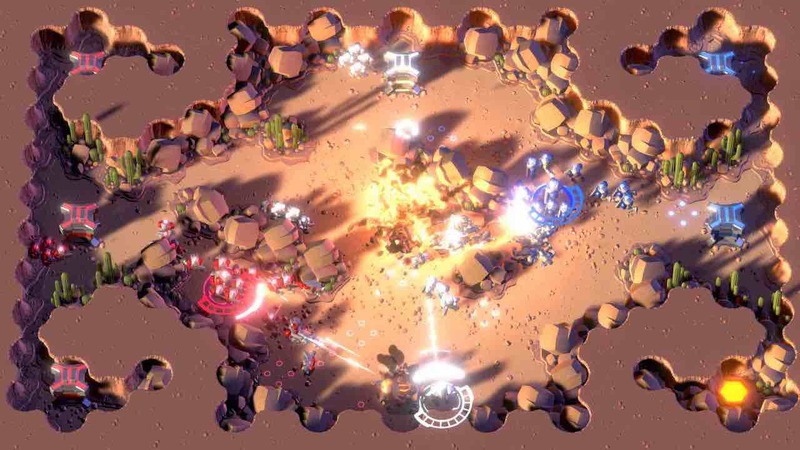 This top-down twin-stick shooter multiplayer action game mixes base building, troop management and twin-stick shooting, challenging as many as four players to dominate a single-screen battlefield. There are solo and co-op missions to conquer, but you can also choose to hold your ground in an all-out deathmatch or continue to speedrun your best times to compete on the leaderboards. Hellfront: Honeymoon will release on the Nintendo eShop for Nintendo Switch worldwide in Autumn 2018.